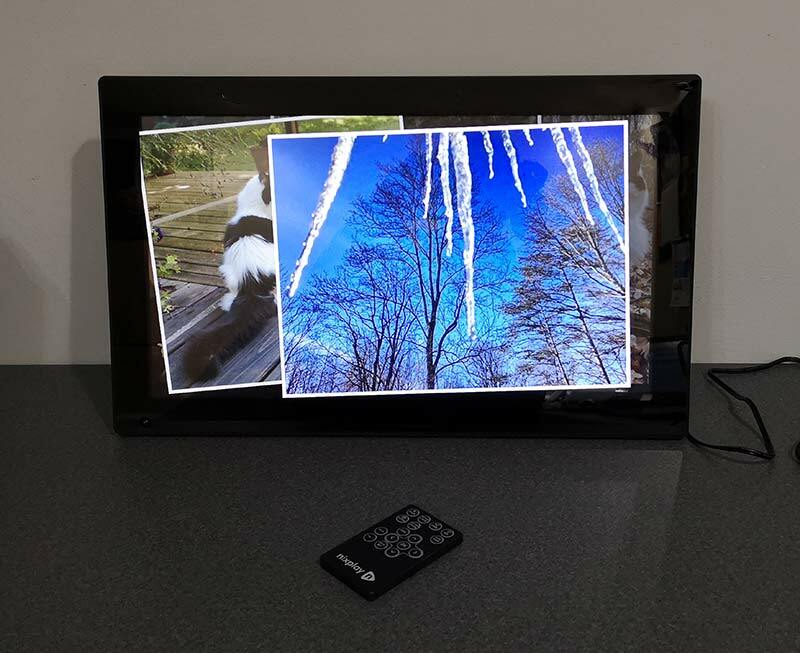 REVIEW – Several years digital photo frames were a popular gift idea. I reviewed at least a dozen of them until their popularity grew stale. 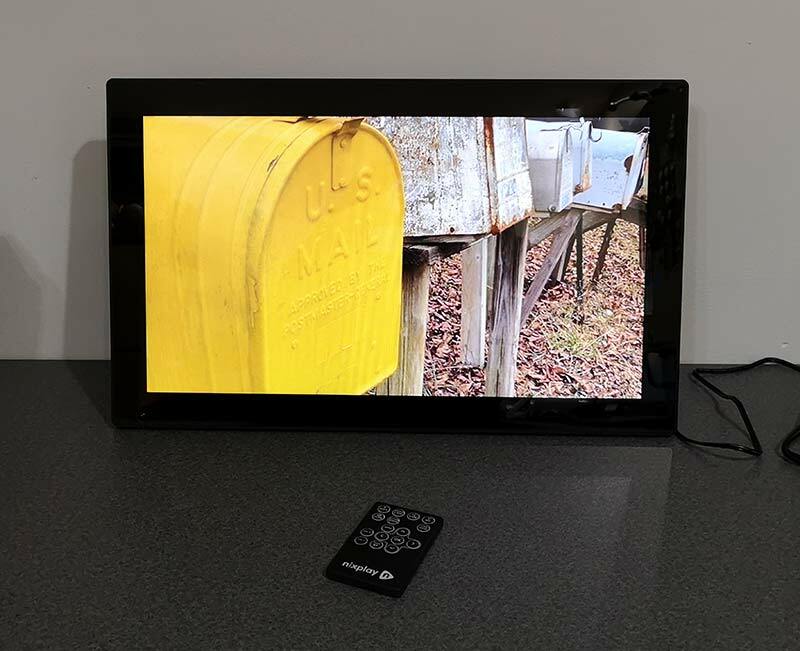 But what’s old is new again and today digital photo frames are making a comeback. 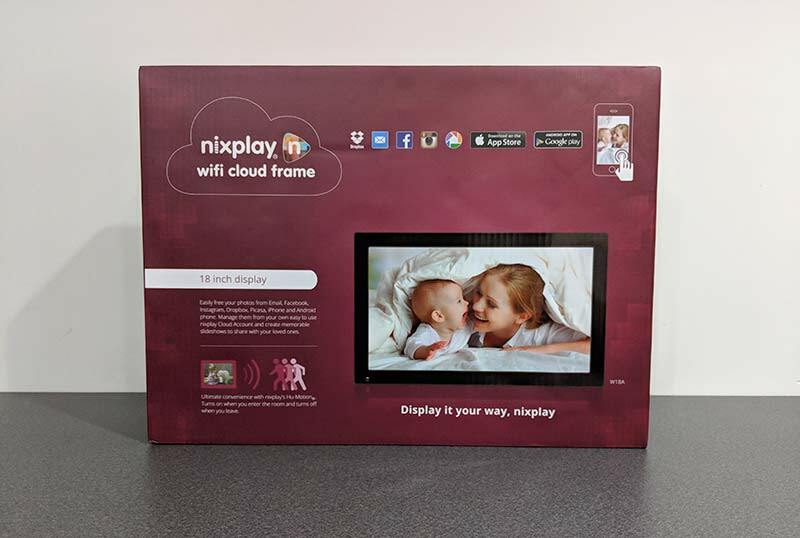 One new frame that I’m going to show you today is the Nixplay WiFi Cloud Frame. Let’s take a look. 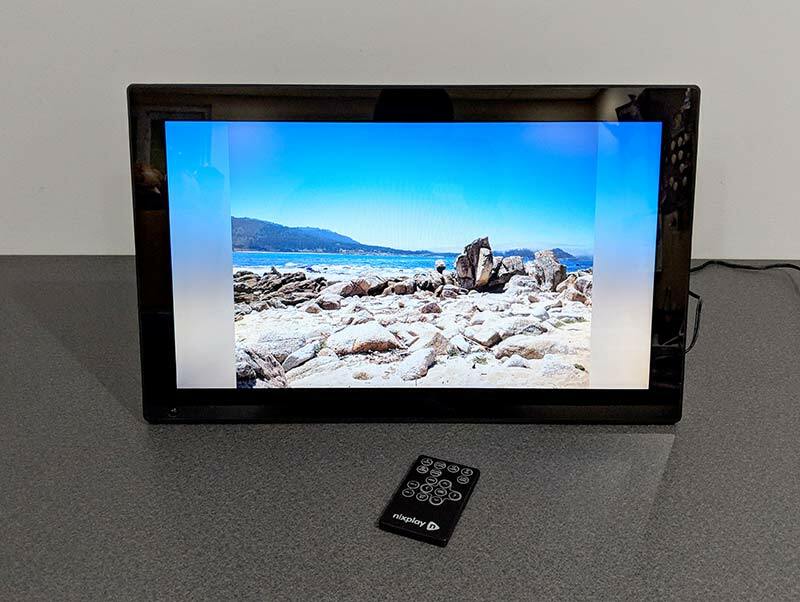 The Nixplay WiFi Cloud Frame is a digital photo frame that can be used to view your favorite images. 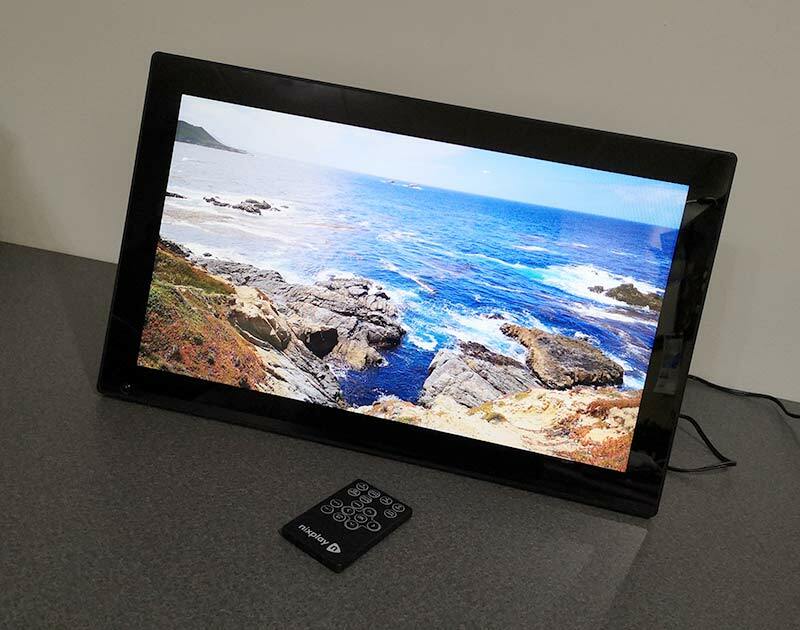 Nixplay makes a variety of frames but their Cloud Frames are available in 15 and 18-inch screen sizes. I was sent the 18-inch version. 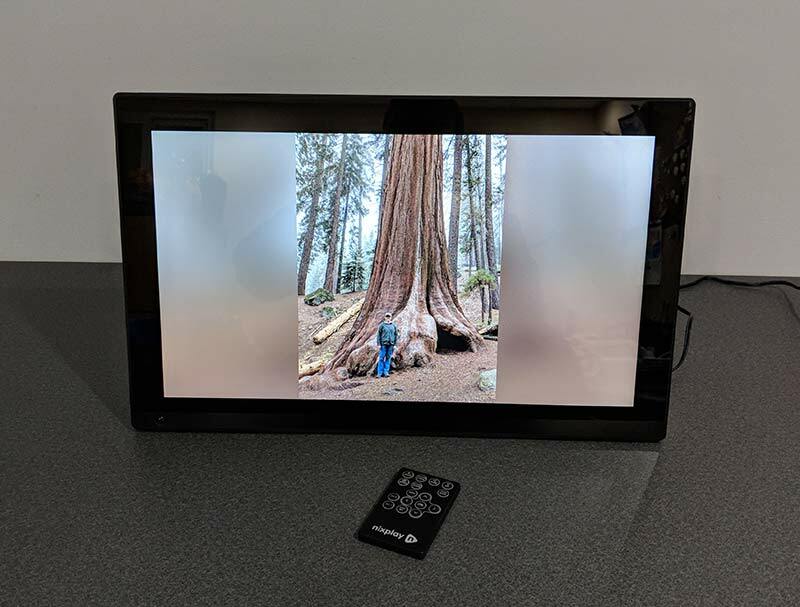 This is the largest digital photo frame that I’ve reviewed and I have to say that if you’re going to buy a digital photo frame, go big or forget it. This 18-inch frame is big and well made. 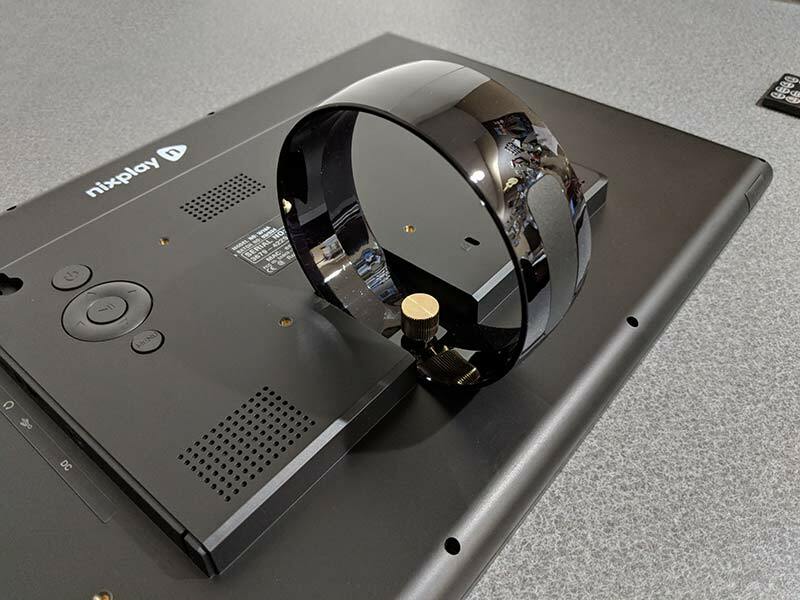 It has black 1-inch bezels on all sides to make it look like a picture frame. 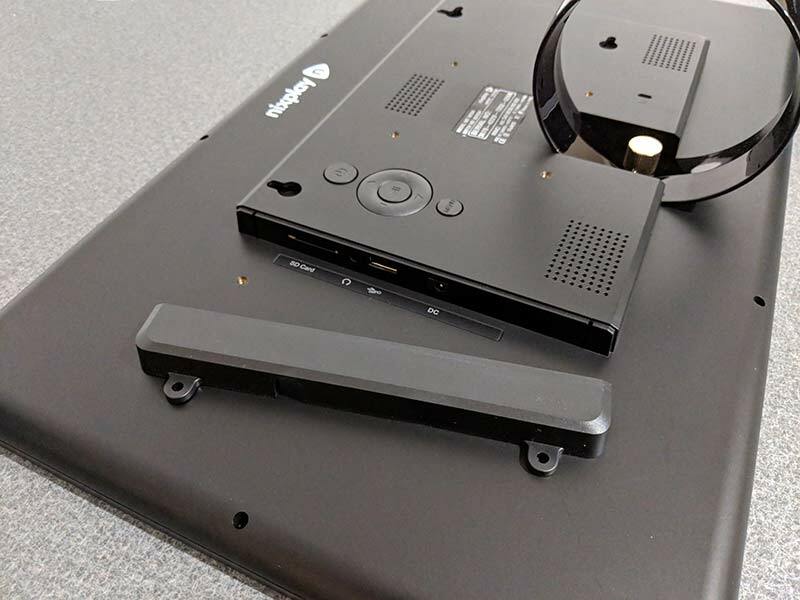 The Nixplay has two sensors that are built into the lower part of the frame. In the lower left corner is the motion detection sensor and there’s also the IR sensor for the included remote control. The remote control has a membrane style keypad with functions to control the photo slideshow and video playback. 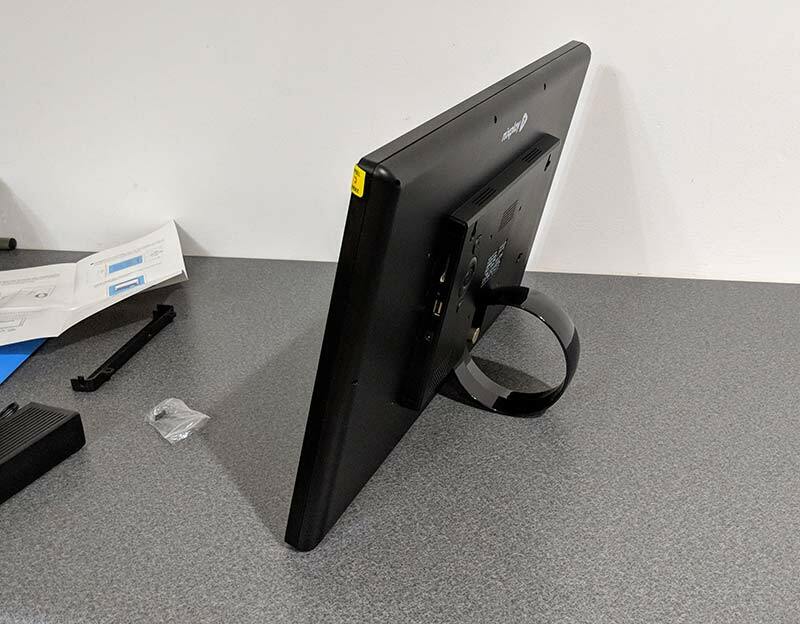 The back of the Nixplay Cloud WiFi Frame has mounting slots to help you mount the frame on a wall in either landscape or portrait orientation. 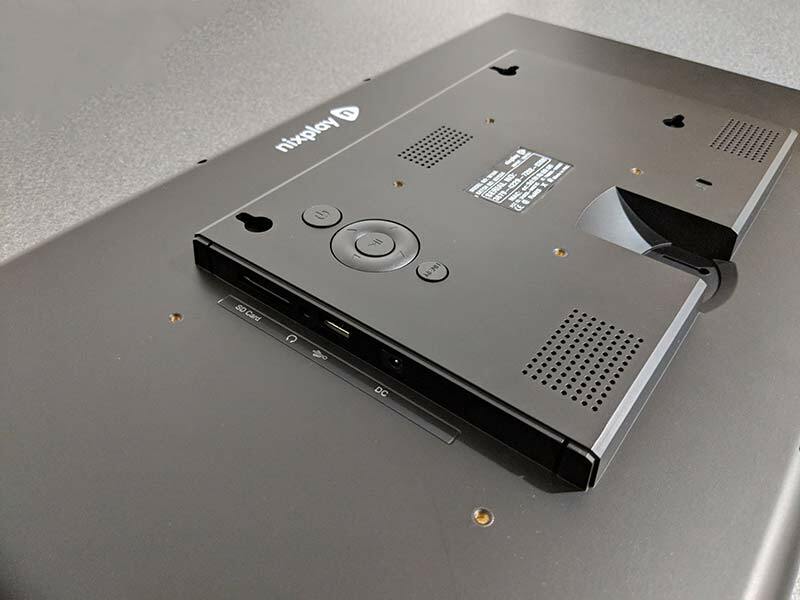 There are also speakers built into the back of the frame and a set of control buttons in case you lose the IR remote control. The back of the frame has an SD card slot and a USB port if you want to load your own images from flash memory. There’s also a 3.5mm headphone jack and the power port. If you don’t want people messing with the ports, you can block them by using the included cover. The port cover is secured by two screws. 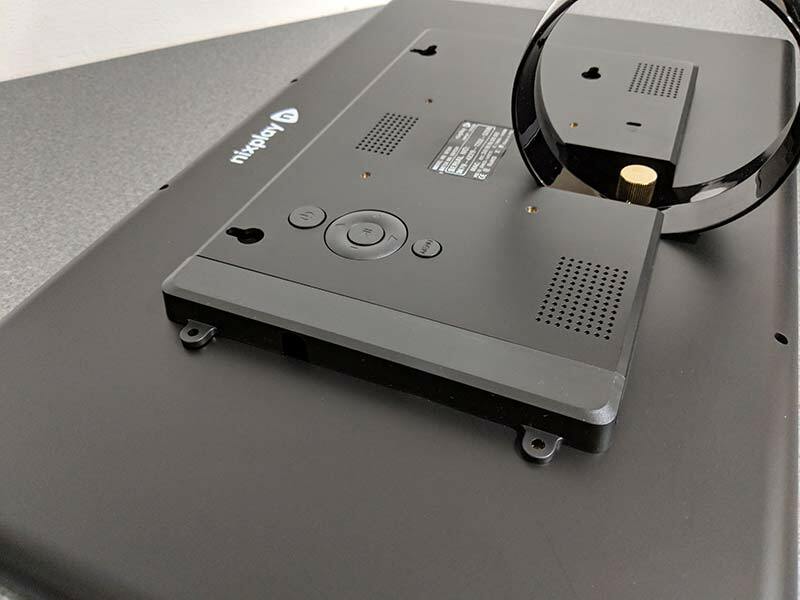 If you don’t want to mount the Nixplay on a wall, you can attach the included stand which snaps into the back of the frame and is secured by a brass thumb screw. I opted to do my testing of the frame with the stand. However, by using the stand, you can only use it in landscape orientation. 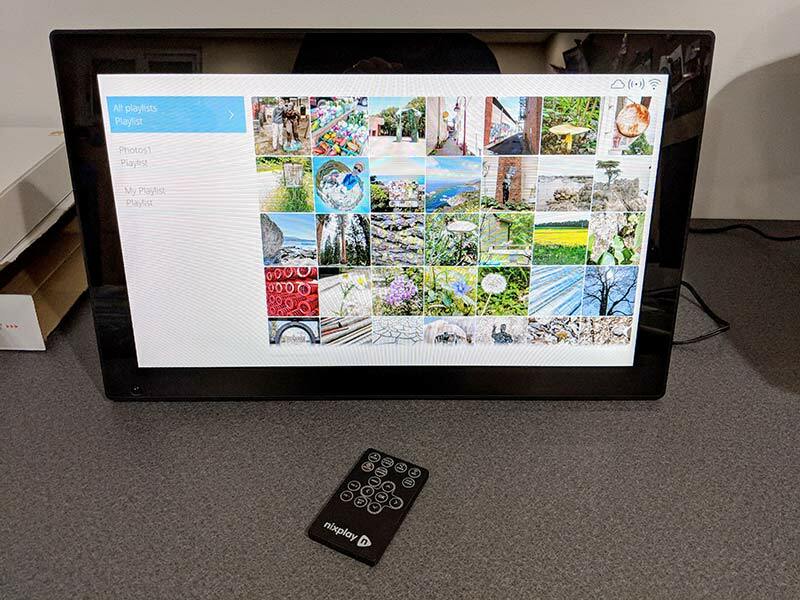 To see slideshows of your favorite images and video, you can load them on an SD card, a USB flash drive, or you can connect the frame to your wireless network and then load images from a selection of social media sites like Dropbox, Facebook, Google Photos, Instagram, Flickr, and Verizon Cloud by using the Nixplay web app. Note that except for the Dropbox dynamic playlist, the other social media sites will not automatically sync new images to the frame. You will need to update the playlists when you add new images that you want to show up on the Nixplay frame. Don’t worry though, it’s as easy as dragging and dropping the images into the playlist from the Nixplay web app. Another way to get images into the frame is by email. Each frame has an email address assigned to it once you create a Nixplay account. Images sent to the frame using this address will be added to a special playlist. Last but not least, you can install the Nixplay app on your smartphone or tablet and send images from your device to the frame that way too. 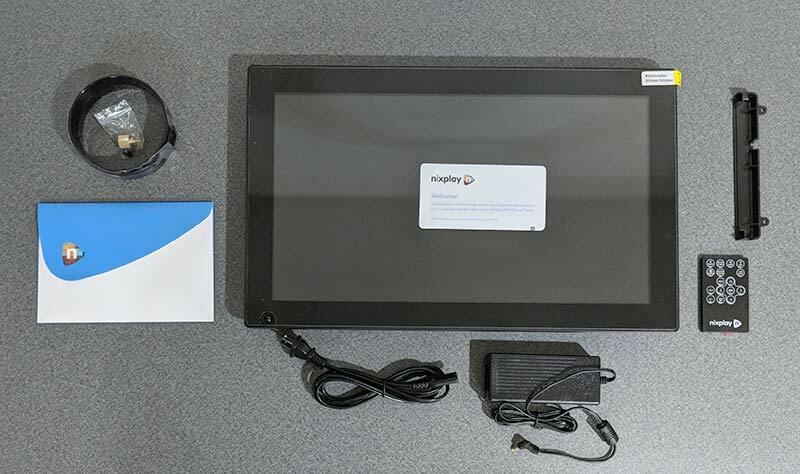 Before you can use the frame, you’ll need to create a Nixplay account which is free and allows you to easily configure a variety of settings on the frame. 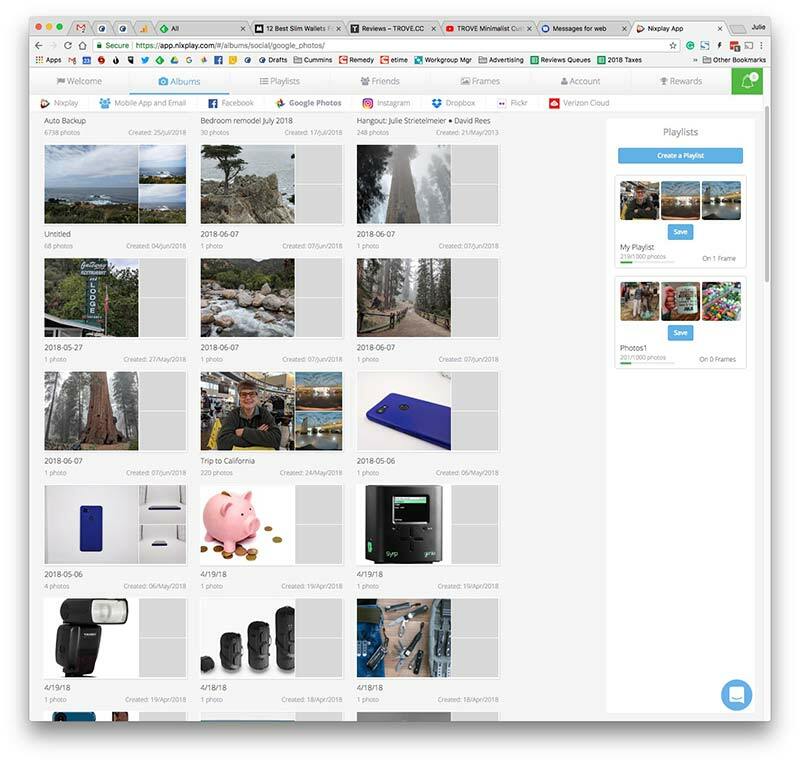 The free account also allows you to create and modify playlists of up to 10GB of photos for up to 5 different Nixplay frames. If you need to manage more frames, Nixplay offers a Plus account where you’ll have 10 frames per account and 30GB of storage. For example, if you load an album of photos from Instagram or Google Photos like I did, you can remove images that you don’t want to see or disable the playlist altogether. 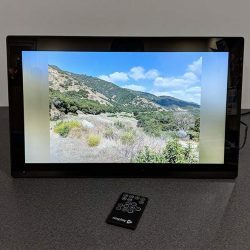 Note that the images will be loaded on to the frame itself so that even if you log out of the Nixplay account or lose WiFi connectivity, the frame still continues to work. 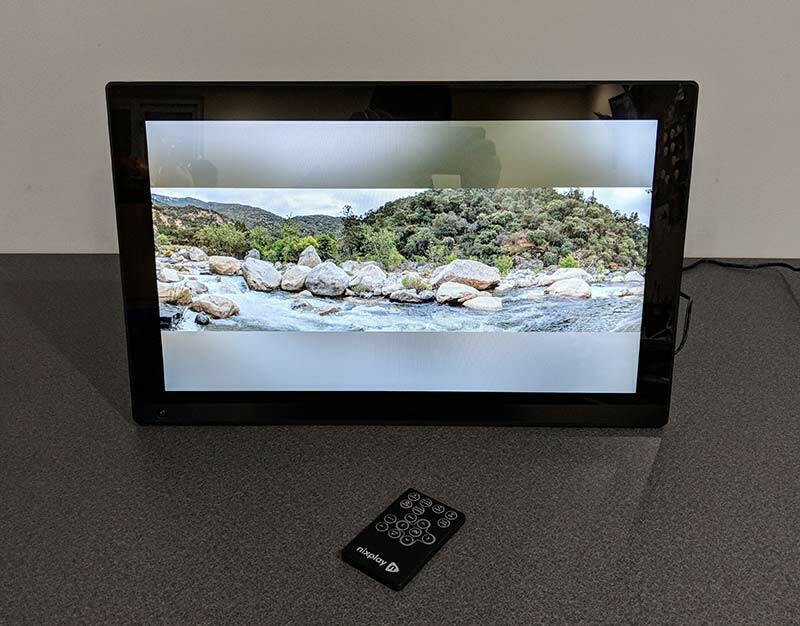 Most nicer digital photo frames allow you to set a sleep schedule so that the frame goes into standby mode during the nighttime hours when no one would be seeing it anyway. 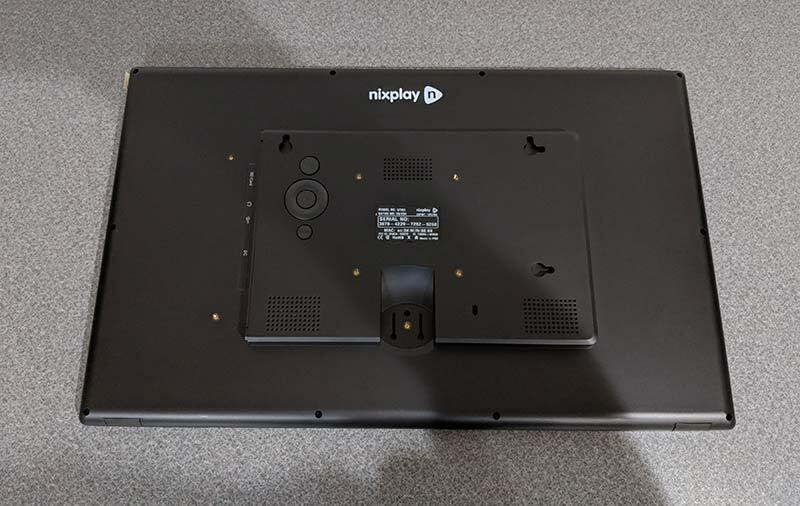 The Nixplay will allow you to either have the screen turn off or it can display a clock during the sleep schedule hours. But that’s not all. 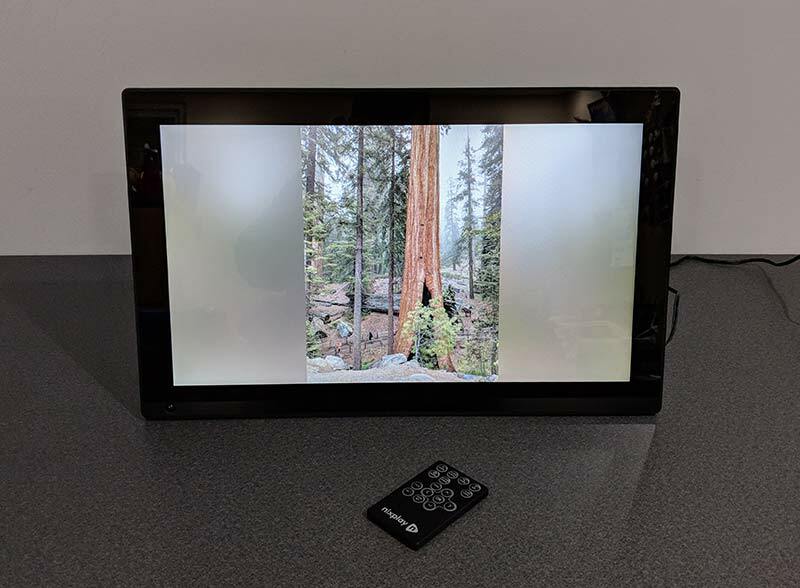 The Nixplay WiFi Cloud Frame goes even one step further by implementing a motion sensor that will put the display in sleep mode when it senses that there’s no one in the room. I love this feature and have found that it works really well. 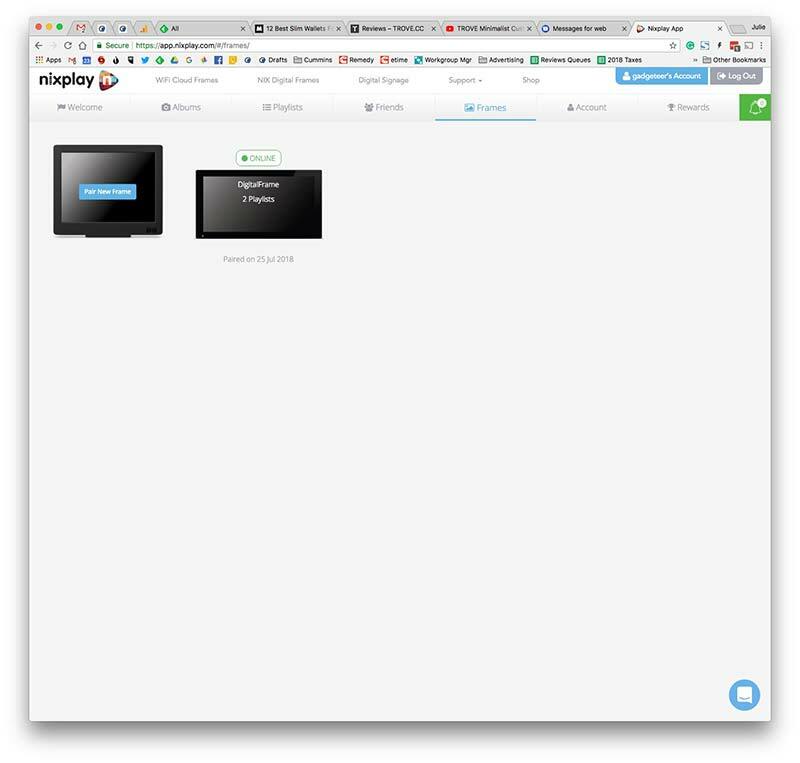 Another feature worth mentioning is that you can control your Nixplay frame with Alexa. You can ask it to play specific playlists just by using your voice. I don’t have an Amazon Echo set up to test this feature, but you can find out more about it by visiting the Nixplay site. 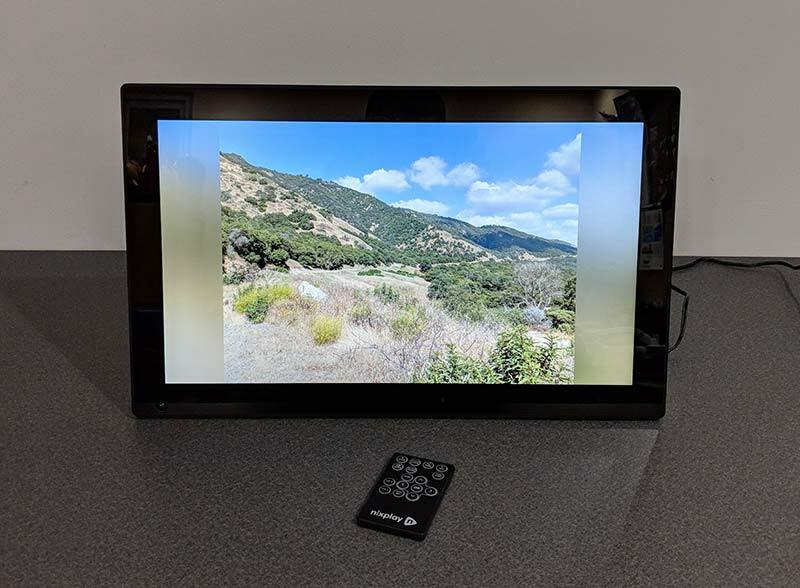 A digital photo frame is only as good as the display quality right? 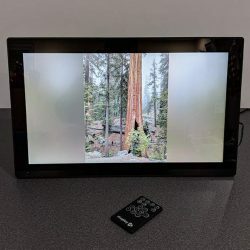 Well, there’s nothing to worry about with the Nixplay because the glossy LED-backlit display is bright, crisp, and vibrant with excellent viewing angles so that you can see image details even if you’re not directly in front of the frame. 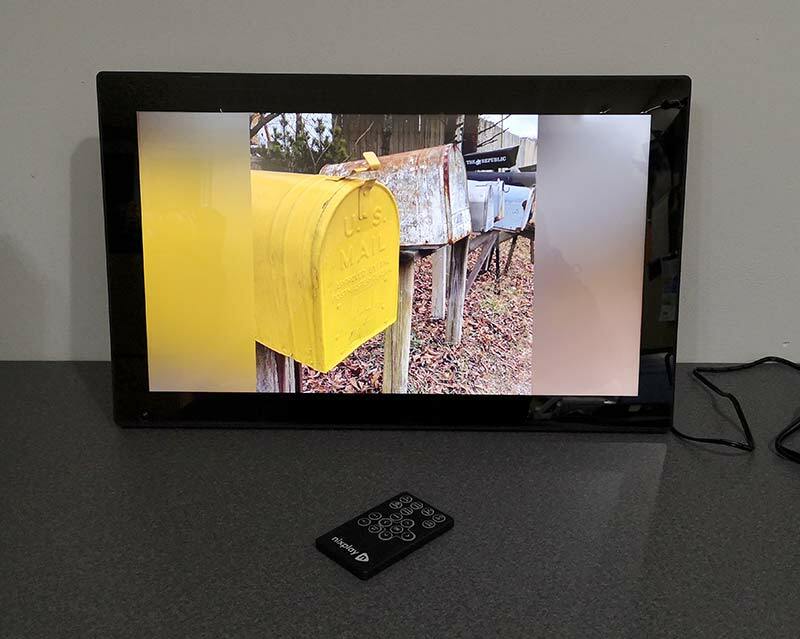 The frame has a 16:9 aspect ratio so images that you take with your phone will probably not fill the screen and you’ll send up seeing bands on the sides or the top and bottom of the screen. 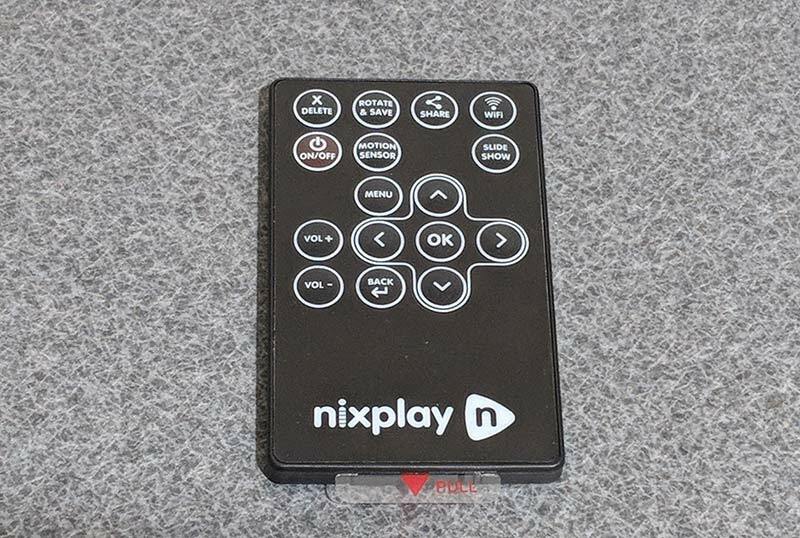 The cool thing is that Nixplay makes the color of the bands match the image on the screen. This way the bands aren’t just white or black. Here’s an example of a panoramic image that I took while on vacation in Three Rivers California. See how the Nixplay is showing top and bottom bands? Here are some other examples. Click the pics to see the full image. You’re probably wondering if there’s a way to fill the screen with the image to get rid of the bands and yes, there is. 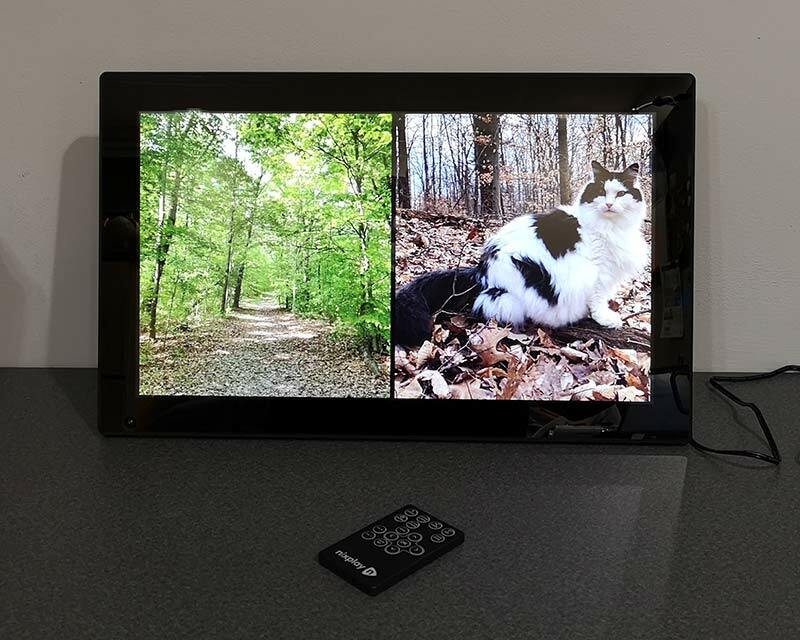 Actually, there are a few other ways to display your favorite pictures on the Nixplay frame. You can set the images to fill the frame which Looks good as long as the subject of the image is in the center of the picture and is small enough that certain details don’t get cut off with the image fills the frame. See the image above, it’s an Instagram picture which is typically a square image. I’ve set the image to fill the screen. And here’s the original image. See how the tops of the mailboxes are cut off when it’s using the fill display mode? Here’s the snapshot display mode which shows each new image on top of the previous image. And here’s the tile display mode which shows two images side by side. This mode works great for images that are up and down (portrait) instead of wide (landscape). In addition to the multiple viewing styles, the frame also has 11 different transition styles when it loads a new image. You can specify the one you like best or just set it to random so it uses all of the styles. 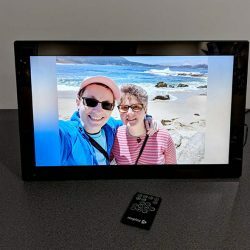 As I mentioned in the opening paragraph of this review, I’ve reviewed at least a dozen digital photo frames in the last 2 decades, but the Nixplay is the first digital photo frame that has actually impressed me on all fronts. 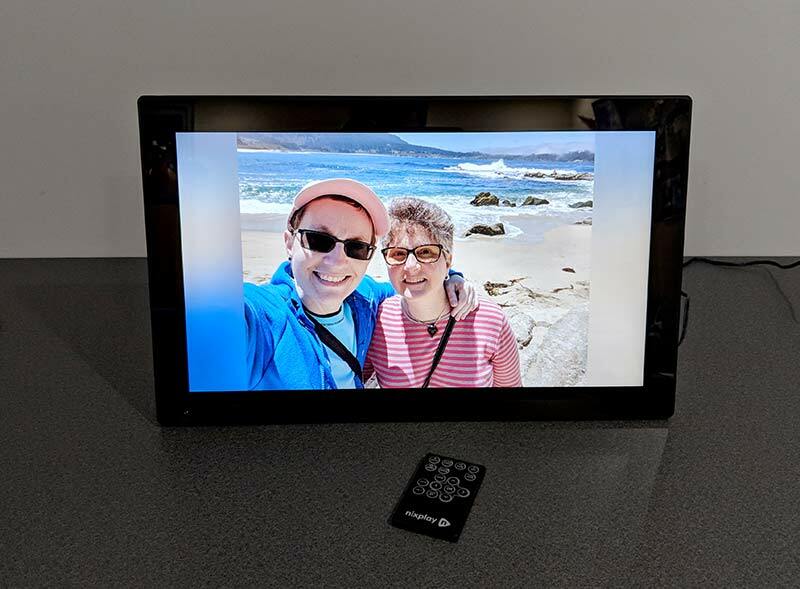 It makes my images look great and the built-in features like motion detection and sleep schedules make this an enjoyable digital photo frame to use. 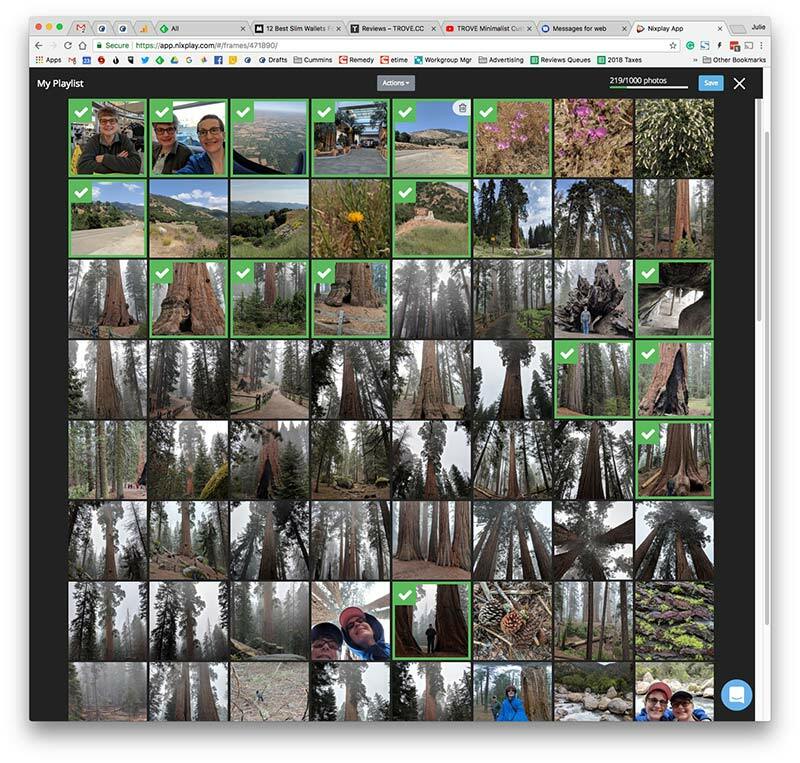 Google opened their API partner program for Google Photos. Nixplay is one of the first companies to join this partnership program and they have integrated it into their Nixplay mobile application. 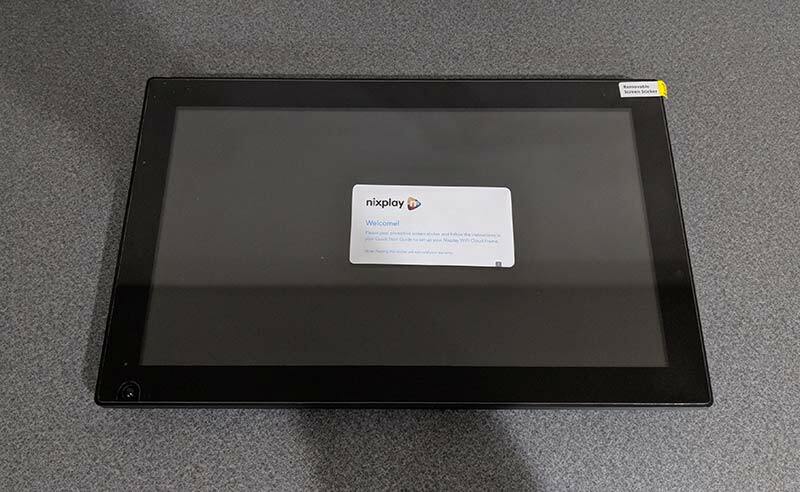 What does this mean for the Nixplay frames? It means that when you connect your Google Photos account to your frame, albums that you create in Google Photos will automatically sync with the frame every hour. 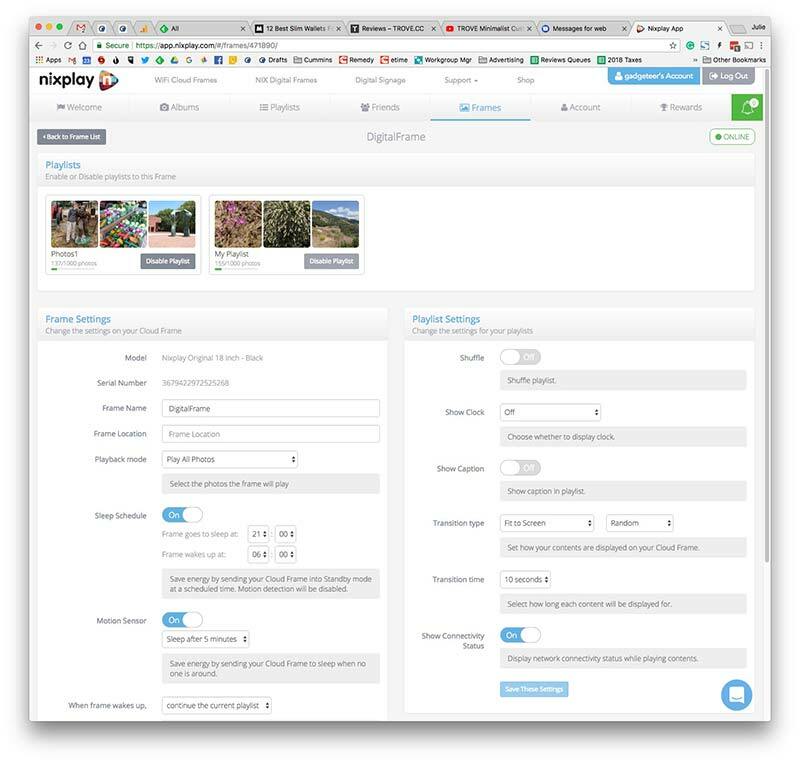 This is great news because you won’t have to manually add new photos to the frame through the Nixplay web interface. Source: The sample for this review was provided by Nixplay. Hi, im 83 with only one eye and i managed to get it out of box and all set up by myself. Its taken 3 days to finally get over 100 photos on. Put them in albums such as fog, buildings, family, nature etc. it took me that long to realize why some albums werent showing up. You should mention this, the circle on right has to say on. It does this automatically when you set up album but, somehow 3 were on hide. .? .? …i was glad to see tile page as I havent gotten there yet. Question.what is a Google Photo account. So far my kids take a pic and it goes right into my playlist. They set up their own Nixplay app. Thanks for info. Love this so far. Me again, thats for info on Google Photos. I’M IN ….loving this. Will give me something to do till summer. All my family and friends travel a lot.